Why use AllSeated to create a Vendor Floor Plan? It’s critical when planning an event to create a vendor floor plan. A vendor floor plan will outline, design, and position each vendor’s needs within the event space which will pave the way for a seamless set-up. Once all of the vendors’ items have been placed on the floor plan you will be able to see the comprehensive vision of how all the different pieces will come together on the day of the event. AllSeated’s floor plan tools make it easy for the vendors involved in the event to create a vendor floor plan. Venues can easily create a floor plan of their event space within their AllSeated account. If your venue’s map isn’t already available in AllSeated, it’s really easy to submit the dimensions to have it uploaded. See this article for how to submit your floor plan. Easily design your event diagram using AllSeated’s tools. 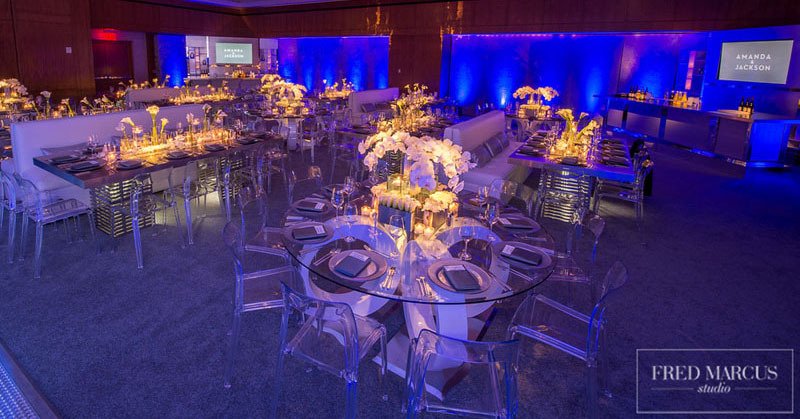 Choose from our library of objects to select the tables, dance floor and any other furniture necessary for the event. Using the 3D tool, bring the event to life with a virtual walk through! Each event and it’s floor plan might be managed differently. Sometimes the venue takes the lead while other times the caterer plays the lead role in creating the floor plan. Today’s client is looking for digital tools for their seating arrangements. AllSeated offers state-of-the-art guest list tools including tracking RSVPs and meal types, plus a place to keep notes. Using AllSeated brings added value for your clients while keeping you up-to-date on their guest count and seating needs for the event. Caterers may wish to create the seating chart for their client by pre-selecting the tables that will be used for the event in the floor plan. It’s really easy for the caterer to then collaborate with their client within the event. The client can make suggestions and changes to the floor plan based upon their needs and vision for their event. For an event, the entertainment company can provide their dimensions for the staging area, dance floor, and any other set-up they may be contributing to the floor plan. Make use of AllSeated’s square drawing tool to create accurate dimensions and to set the location for your dance floor within the floor plan. You can use that same tool to create your stage – including the height of it! There is also a text tool available to make notes in the floorplan of where you will need power for your equipment. Photographers can use the floor plan to make notes for when they will be in certain spaces of the layout. They can also designate the spots where they may require power as well as specific photo session set-ups locations in the layout. Along with a vendor floor plan, a vendor timeline is beneficial as well to keep everyone up to date on timing for set-ups and breakdowns to ensure a seamless event. Click here to learn more about our timeline tool.